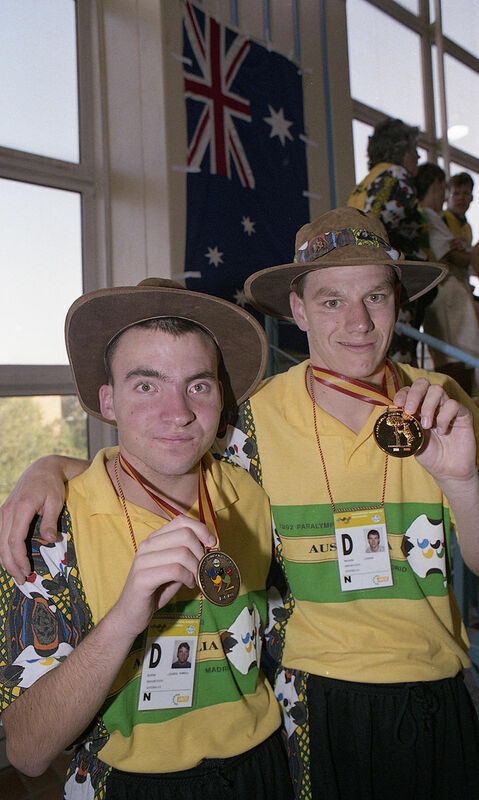 The Australian team of athletes with an intellectual disability attended the 1992 Paralympics in Madrid from 15 to 22 September 1992. Over 1600 athletes competed at the Games across 5 Sports: Athletics, Basketball, Futsal, Swimming and Table Tennis. Australia competed in all sports except Table Tennis. Australia’s team of 51 athletes and 18 officials finished on top of the medal tally with a total of 31 medals (13 Gold, 10 Silver and 8 Bronze). Swimmer Joseph Walker won nine gold medals and newspaper reports likened his medal success to multiple Olympic gold medalist Mark Spitz. Swimmers Joshua Hofer and Rene Hardenbol won five gold medals. Women’s basketball team now known as the Pearls won the gold medal. Indigenous athletes Donna Burns and Alice Toogood entertained athletes in the Village with a demonstration of Boomerang throwing. Australia 60 Great Britain 19 (Annette Kelly 18 pts, Alice Toogood 12 pts, Donna Burns 12 pts). 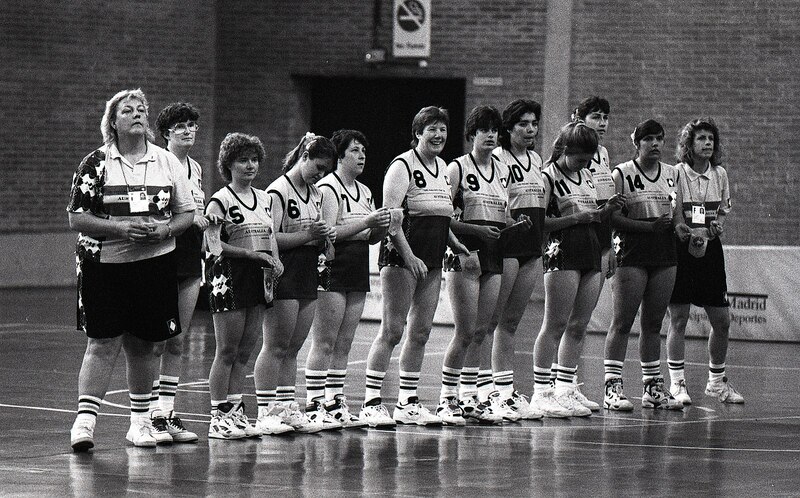 Left to right: Margaret Sheriff (Women’s Head Coach), Tanya Atheson (4), Lorraine Archer (5), Fiona Hinds (6), Tina Kenna (7), Gladys Delaney VIC (8) Donna Burns VIC (9), Christine Humphries VIC (10), Melissa Gallacher SA (11), Annette kelly SA (12), Alice Toogood SA (14), Robyn Smith (Manager). 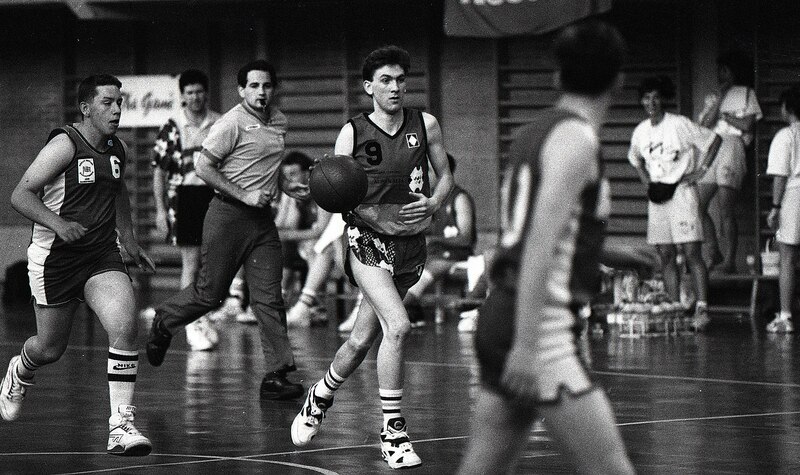 The Australia women’s 53-21 win over Greece was Australia’s first medal win in Olympic or Paralympic Basketball. 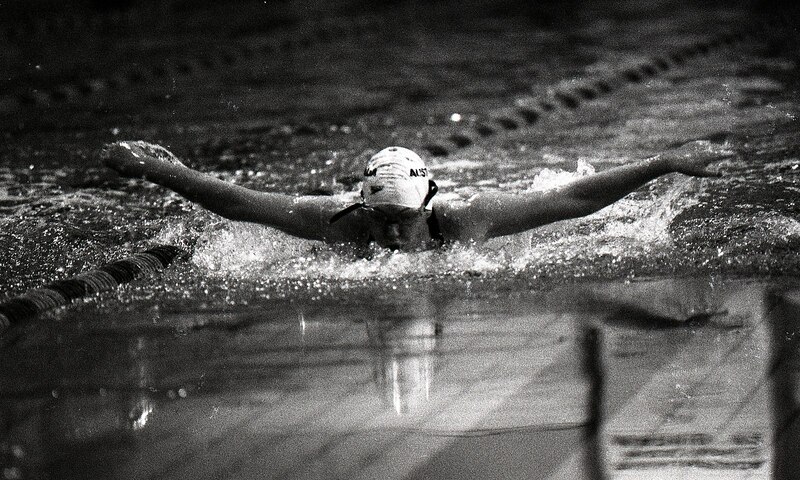 Australia finished first on the swimming medal tally winning 23 medals – 11 gold, 7 silver and 5 bronze medals. 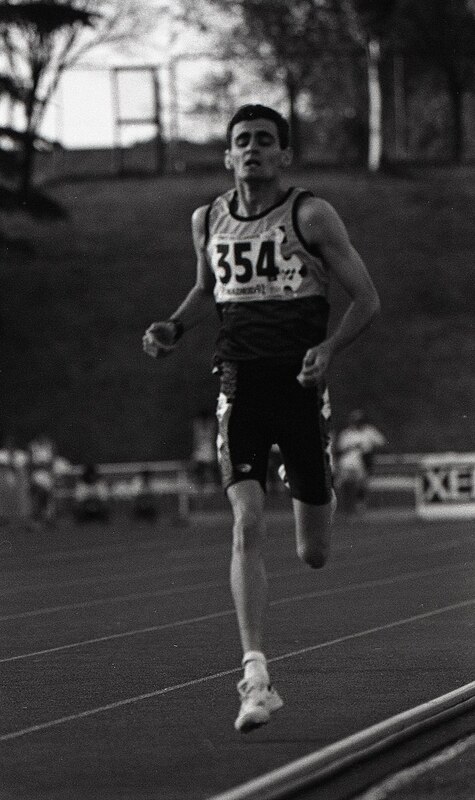 Joseph Walker won nine gold medals out of nine events which at the time was unmatched in Australia’s Paralympic history. Joshua Hofer won eleven medals including five gold. Rene Hardenbol won seven medals including five gold. The Men’s relay team won four gold medals in world record time. The women’s relay team winning a silver and two bronze medals. 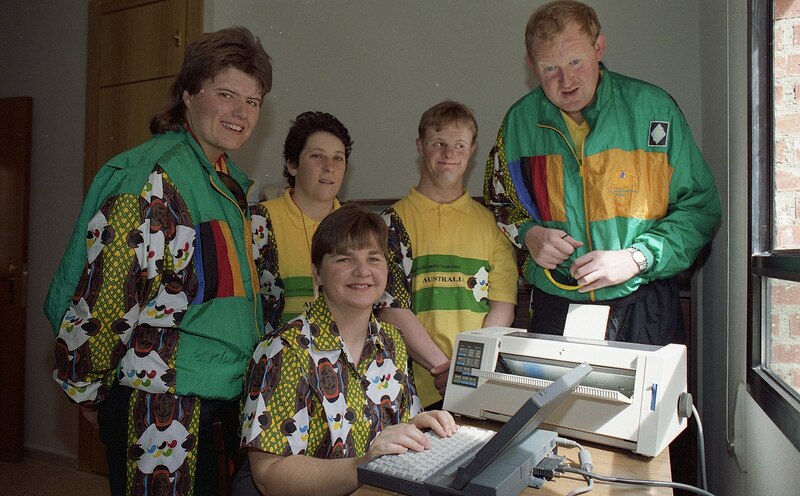 Athletes Stacey Smith (NSW), Tina Kenna (Tasmania), Tim Krahe (South Australia), Michael Glover (Tasmania) with Team administrator Colleen Bennett in the Australian Team office during the 1992 Madrid Games.